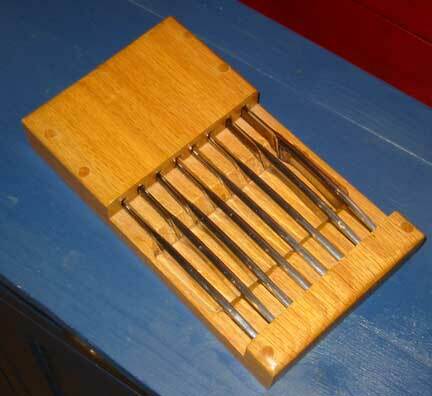 One of the first projects was a small block to hold steak knives. 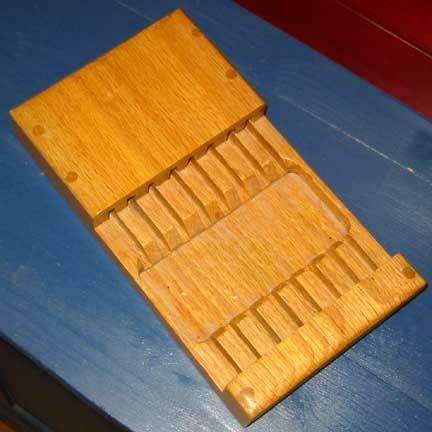 This one is make of Red Oak. Overall construction is 3 pieces that have are held together with pegs/dowels. The groves and edges were cut with a router. The whole thing was basically dipped in polyurethane. A set of 8 Henckels stainless steak knives in the block.